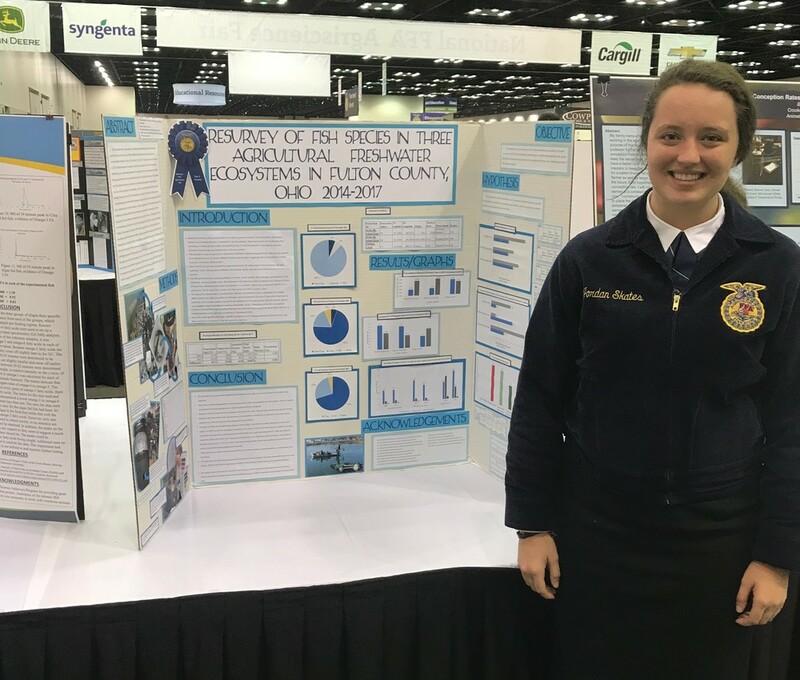 Two weeks ago, a total of eleven students went to the National FFA Convention. During this week, they were able to listen to motivational speakers, National FFA Officers, and enjoy getting to know each other better. This we had two students participate in the National Agriscience Competition. They were Jordan Skates and Kayla Wyse. Jordan Skates is a Pettisville Graduate and is currently attending Hocking College pursuing a degree in Wildlife and Fisheries Management. Kayla Wyse is a Pettisville Senior and planning on attending college and double majoring in Agronomy and Animal science. Skates's project was the comparison of fish species in three ecosystems in 2014 and 2017. Wyse's project was the preference of green peach aphids to three different pumpkin species. Skates placed second in her division and category. Wyse placed seventh in her division and category. Both had an enjoyable time and encourage other Pettisville students to attend and participate.